"The case for Golden Rice is pure hype. For Golden Rice is not particularly rich in carotene and in any case, rice is not, and never will be, the best way to deliver it. Carotene is one of the commonest organic molecules in nature. It is the yellow pigment that accompanies chlorophyll in all dark green leaves (the many different kinds known as “spinach” are a great source) and is clearly on show in yellow roots such as carrots and some varieties of cassava, and in fruits like papaya and mangoes that in the tropics can grow like weeds." 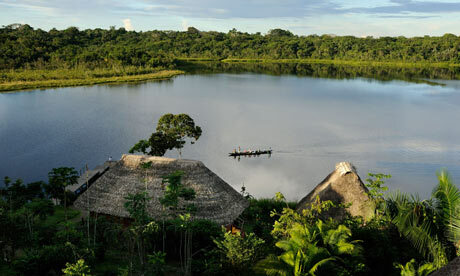 Brasil Agroecológico - Plano Nacional de Agroecologia e Prod-1 from AS-PTA on Vimeo. Vídeo produzido para o lançamento do Brasil Agroecológico - Plano Nacional de Agroecologia e Produção Orgânica que tem como principal missão articular políticas e ações de incentivo ao cultivo de alimentos orgânicos e com base agroecológica e representa um marco na agricultura brasileira. Food needs can be met with a new vision for agriculture and science, say Brian Wynne and Georgina Catacora-Vargas. In mainstream policy and corporate thinking, scientific knowledge and global markets are considered key for food security. This has resulted in the industrialisation and laboratory research-led intensification ofagricultural systems, inputs and food-supply chains. But intensified systems do not meet global food needs — they mostly suit export markets and corporate interests. The result is severe physical, but also economic, disconnection between production and consumption, or need, as well as private control of the crucial knowledge base that shapes agriculture. This is effectively an industrial monoculture model of production — of both food and knowledge — that avoids its ecological and social costs, while suppressing more effective sustainable alternatives, and underexploits science's potential versatility. To generate more sustainable pathways to equitable and healthy food production and access, agricultural diversification is needed, with food-supply systems decentralised and a move towards more localised networks. This includes the strategic reorientation of agricultural research and development towards varied local conditions and needs, and towards farmers' knowledge — a global science for the public good. You know that one friend or relative who seems impervious to facts? Especially political facts? Well, here’s why. I am an unabashed progressive liberal. I have several conservative friends on my Facebook page, most of which are intelligent, well-read and well-informed. Some of them I’ve known almost my whole life. I can have conversations with these friends about a variety of subjects: Philadelphia sports, movies, comics and other geek stuff, education, etc. There have, of course, been some steadily contentious subjects, going back to 2007—the Iraq War, the legacy of the Bush Administration (“enhanced interrogation,” warrantless wiretapping, Abu Ghraib, etc), the 2008 election, and gun rights (especially after Sandy Hook) just to name a few. But even then, the conversations are usually somewhat productive and respectful, and people at least tried to stick to facts. If you’ve spent any time on the Internet, you’ve seen examples of this: people arguing that the Civil War wasn’t about slavery, the idea that Saddam Hussein was responsible for the 9/11 attacks, the 9/11 Truthers, the Birthers, climate change deniers, and people who actually listen to (and believe!) Alex Jones. I’m sure you have that one friend-of-a-friend or that one crazy future sister-in-law who is constantly posting links and pictures that make you simply shake your head and wonder “How can they actually believe this?” Well, the answer is pretty simple: because they want to, badly. “No podría ser más irónico. En el Día mundial de la alimentación Brasil considerará aprobar una iniciativa de ley que legalizaría las semillas Terminator. Sería un ataque flagrante a la soberanía alimentaria y los derechos de los agricultores, un ataque que tendrá impacto en todo el mundo, afirma Silvia Ribeiro, Directora para América Latina del Grupo ETC. Cientos de organizaciones de la sociedad civil y movimientos sociales aseguran de que la opinión pública mundial ponga atención: la semana pasada expresaron su preocupación ante el plenario del Comité de Seguridad Alimentaria Mundial en Roma y ante el Convenio de Diversidad Biológica, CDB, en Montreal. (En el 2000, la ONU impuso una moratoria a las semillas Terminator mediante el CDB), y están divulgando el problema en las redes sociales planetarias, para hacerles saber a los miembros de la Comisión que discutirá la iniciativa de ley que el mundo sigue rechazando las semillas suicidas. (Puede agregar su firma aquí). “La decisión del juez es motivo de celebración, pero las compañías ya trabajan para revertirla. La suspensión temporal nos da un respiro, pero no podemos dar por terminada la lucha contra el maíz transgénico en México”, afirma Silvia Riberio. Arroz dorado, oportunidad dorada para la biotecnología. Mientras el foco en América Latina está en la resistencia contra la tecnología Terminator y el maíz transgénico, los campos de arroz son los campos de batalla en Asia. La industria biotecnológica, tras una máscara humanitaria, acelera el proceso para la comercialización delArroz dorado. Se espera un alud de solicitudes para la liberación comercial del arroz transgénico diseñado para expresar beta-caroteno a principios de 2014. A pesar de las resistencia de agricultores que quieren proteger y controlar su propia semilla, de los consumidores que quieren soluciones reales a los problemas de nutrición, y a pesar de las violaciones éticas reconocidas por los investigadores, los gigantes genéticos aun piensan que el Arroz dorado puede ser el ejemplo predilecto para mostrar las bondades de la biotecnología. Una investigación reciente del Grupo ETC muestra una concentración de poder sin precedentes en los agronegocios mundiales. Sólo seis empresas multinacionales (Syngenta, Bayer, BASF, Dow, Monsanto, DuPont) controlan el 60% del mercado de semillas, 76% del mercado de insumos agrícolas y 100% del de semillas transgénicas. La mayoría de esas empresas tienen patentes de tecnología Terminator. “Monsanto y Syngenta recibirán hoy el Premio Mundial de la Alimentación. Es un absurdo que podemos leer como una estrategia desesperada de relaciones públicas para salvar a una tecnología en grandes problemas. La agricultura campesina es más productiva, mejor para el ambiente y alimenta al 70% de la población mundial usando sólo el 30% de los recursos agrícolas del planeta. Es cada vez más difícil para las compañías engañarnos con lo contrario”, afirma la Directora para Asia del Grupo ETC, Neth Daño. 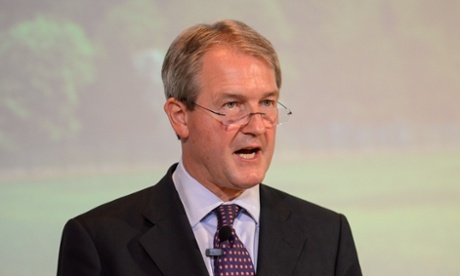 UK Environment secretary Owen Paterson has hit out at 'wicked' opponents of genetically modified crops, but forgets science's greatest assets are scepticism and democracy. Even the most rational of arguments can understandably sometimes get quite heated. But in branding critics so emotively as "wicked" and "disgusting", GM advocates like Owen Paterson relinquish any claims to reason. Like other hysterically unqualified defences of rationality, this carries a worrying whiff of fundamentalism. If sincere, the unnoticed irony makes the pathology all the more concerning. If not sincere, there is an even worse taint of expedient political manipulation. That science is such a direct victim of this rhetoric compounds the irony. The issues go far beyond GM. What lies at threat more broadly, are both science and democracy – and their crucial interdependencies. There is a duty for all who value these thereby expediently sundered Enlightenment traditions, to speak out clearly in their defence. Genetically modified (GM) crops and foods are the subject of intense, and at times furious, debate in the United States. Most of the country’s corn and soy harvests come from GM seed varieties patented by the Monsanto biotechnology corporation, and are used mostly to make food additives, biofuels, and fodder for farm animals. The introduction of these novel products into the US food supply in the 1990’s, without any public debate, notification or hearings, environmental impact statement, or independent safety studies, is causing great concern among an increasing number of consumers. Biotech corporations claim that their GM crops provide countless benefits for consumers, farmers, the environment and the world’s hungry, including reduced use of pesticides, high yields, and environmentally sound weed and pest management. For the future, they promise crops with increased nutritional content for the hungry in the third world- like the famous “golden” rice-, and “climate-ready” crops that will resist the extreme weather events linked to global climate change. But there are scientists, farmers, activists and citizens that dispute these claims and rosy scenarios (1), and question even whether these foods are safe at all (2), and whether the underlying scientific assumptions of the technology of genetic engineering are valid in light of the most recent developments and discoveries in the fields of genetics and genomics (3). There are alternatives to the industrial mode of agriculture, with its toxic agrochemicals and GM crops. 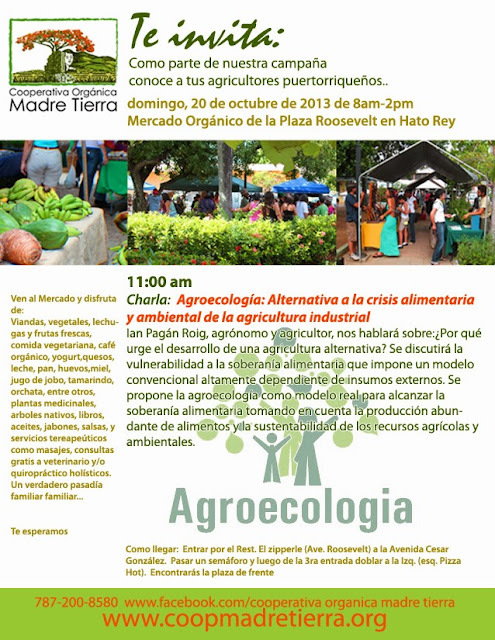 And these alternatives can be found in the young science of agroecology. 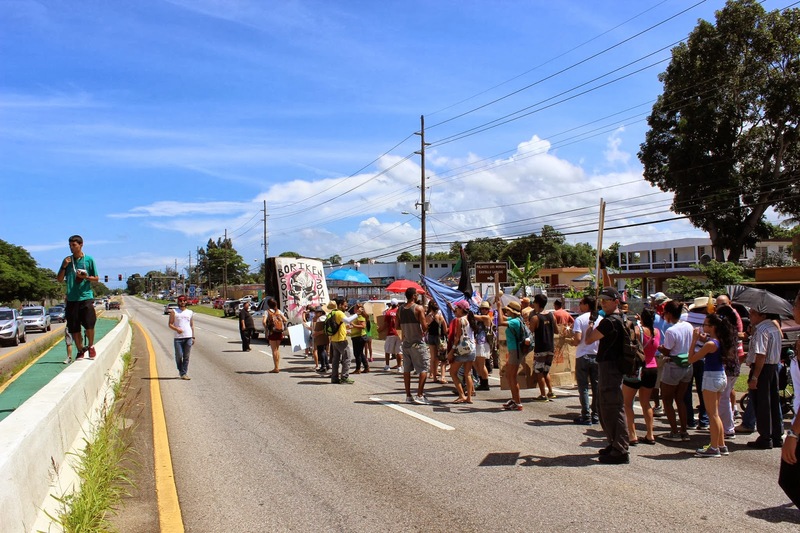 This new field is simultaneously a science, an agricultural practice and a social movement, and began in Central America in the 1970’s and 80’s with the Campesino a Campesino (peasant to peasant) movement. Campesino a Campesino, which has now spread all over the world, is an innovative participatory and horizontal farmer-to-farmer learning method that owes much to liberation theology’s methodology of critical thinking and social action, and to Brazilian educator Paulo Freire’s pedagogy of the oppressed. It can be thought of as an ecology of the poor, or as a campesino ecology. "Acompáñenos en el programa donde conversamos con Carmelo Ruiz Marrero sobre soberanías alimentarias, agricultura ecológica, neoliberalismo y mundos posibles. Lamentablemente debido a problemas con la conexión de Skype, Miguel Rodríguez Casellas no estuvo en el programa. Gracias a Carmelo Ruiz Marrero por tan valiosa información y análisis. 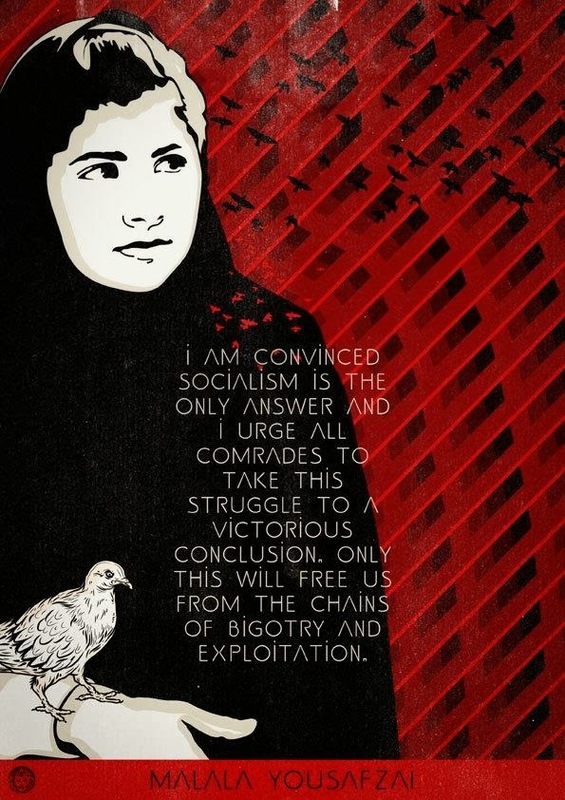 Esto y más en Puerto Crítico"
We do hope that after this, Malala's sanctimonious critics will learn some humility. Like the heroic peasant pacifists of Colombia, who are taking a nonviolent stand in the face of paramilitary terror, Malala has faced down evil, in real life and up close. Nothing could be further from the hypocritical stance of too many Western pacifists, who, with bewildering arrogance, preach nonviolence to the oppressed of Pakistan or Syria from the comfort of New York or London. Malala Yousafzai has clearly not been co-opted, even now, and she owes this to her life experience of real immersion in real struggle, at real sacrifice. She is a hero still. Generar alternativas a la producción agrícola para hacerla más amigable con el medio ambiente es uno de los objetivos de este doctorado que reúne profesionales de todo el mundo. Los profesores imparten sus clases aquí en Colombia y también en la Universidad de California, Berkeley. Tercero en el mundo en abrirse y primero en Latinoamérica, hace de ésta, una iniciativa que pone a la Universidad de Antioquia en los ojos del mundo. Mi nombre es Carmelo Ruiz Marrero, soy autor, periodista investigativo y educador ambiental, y dirijo el Proyecto de Bioseguridad de Puerto Rico, un colectivo fundado en 2004 dedicado a educar a la ciudadanía sobre los aspectos ecológicos, sociales, políticos, económicos, éticos y de salud humana de los organismos, cultivos, productos y alimentos genéticamente alterados o transgénicos, mediante charlas, conferencias, entrevistas de prensa, comunicados y una página web. El Proyecto de la Cámara 1284, con su propuesta de formular un plan estratégico integral para la agricultura nacional, es sin duda un gran paso hacia adelante para la agricultura, seguridad alimentaria y economía del país. 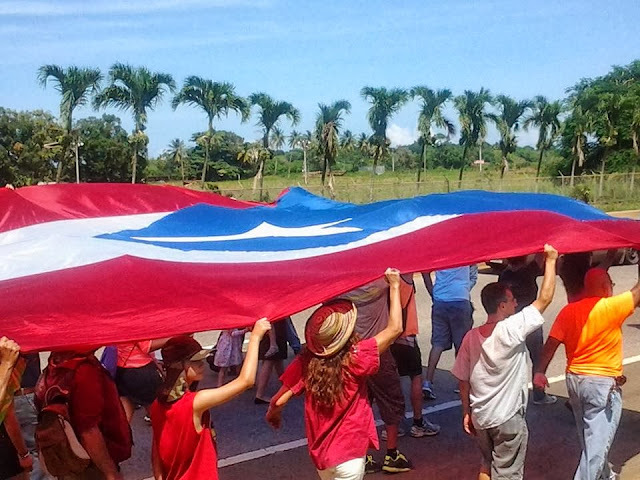 Sin embargo, para que tal plan sea efectivo y beneficioso para el pueblo puertorriqueño, debe abordar la ecología como asunto central y de primerísima importancia. Algo anda realmente mal en la agricultura. Constantemente aumenta la evidencia de que la muy celebrada agricultura industrial convencional, que en este país a menudo se le llama equivocadamente agricultura “tradicional”, no combate el hambre, no es capaz de proveer alimentos saludables y deja a su paso enormes daños ambientales evitables e inaceptables, como erosión de la biodiversidad, deforestación, destrucción de suelos, envenenamiento con pesticidas, y encima de eso es una de las principales causas del cambio climático, el cual es ciertamente la mayor amenaza que enfrenta la especie humana hoy. Según “Cocinando el Planeta”, un extenso documento conjunto de varias organizaciones europeas, incluyendo GRAIN y Veterinarios Sin Fronteras (1), la agricultura industrial es responsable de la mitad de las emisiones de gases de efecto invernadero. Las megaempresas que controlan la agricultura industrial ahora nos ofrecen cultivos genéticamente alterados, o transgénicos, que supuestamente aumentan los rendimientos, reducen el uso de agrotóxicos, controlan malezas y plagas de manera ambientalmente benigna, y muchos otros beneficios para consumidores, agricultores, el ambiente y los hambrientos del mundo. Pero los alegados beneficios de estas novedosas semillas producto de la biotecnología moderna son puramente imaginarios. Al contrario, los cultivos transgénicos han exacerbado el hambre y la miseria rural, han llevado al desarrollo de supermalezas y superplagas, han empeorado los problemas ambientales causados por la agricultura moderna, y estudios científicos no financiados por la industria de biotecnología consistentemente han encontrado en los alimentos transgénicos daños a la salud de animales de laboratorio lo suficientemente serios como para exigir una moratoria a su producción. 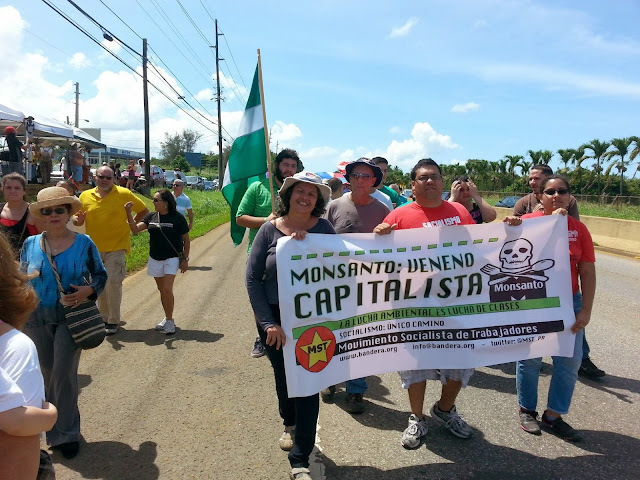 Esto nos concierne a los puertorriqueños no solamente como consumidores sino que nos concierne también porque las compañías de biotecnología agrícola, como Monsanto, Syngenta y Pioneer, tienen una gran concentración de cultivos transgénicos experimentales y de propagación de semilla en terrenos agrícolas de nuestro país. Estos cultivos no fueron alterados genéticamente para rendir más, ni para ser más nutritivos, ni para reducir el uso de agroquímicos tóxicos. La mayoría fueron alterados para ser inmunes al herbicida Roundup, producto de la corporación Monsanto, y se les conoce como cultivos Roundup Ready. Los demás producen su propio insecticida, y se les llaman cultivos Bt. Estos cultivos, que son mayormente de soya y maíz, se utilizan para hacer, entre otras cosas, harina, almidón, aceite de cocinar, endulzadores, biocombustibles, y comida para alimentar los animales de finca que nos dan carne, lácteos y huevos. Hasta el día de hoy no se ha demostrado que los alimentos transgénicos sean seguros (6). La agencia federal estadounidense FDA, que se supone fiscalice los alimentos y medicamentos, no realiza sus propios estudios sobre productos GM. Los estudios de los que se vale la agencia son realizados por las propias compañías que los producen, y usualmente están clasificados como información confidencial (Si son tan seguros, ¿por qué la confidencialidad?). En cuanto a los supuestos beneficios para los agricultores, sepan lo siguiente: El pasado 9 de julio la National Public Radio (NPR) de Estados Unidos transmitió un reportaje sobre las superplagas que azotan los sembradíos transgénicos (11), y en mayo el Wall Street Journal publicó un artículo con el horripilante título de "Pesticides Make a Comeback: Many Corn Farmers Go Back to Using Chemicals as Mother Nature Outwits Genetically Modified Seeds" (12). Hay que señalar que NPR y el Wall Street Journal siempre habían estado inclinados a favor de los transgénicos en reportajes anteriores. En cuanto a los problemas de malezas, las noticias tampoco son halagadoras para los cultivos transgénicos. El pasado 4 de julio el Gazette, periódico del estado de Iowa, reportó que los granjeros que siembran transgénicos están perdiendo la guerra contra las malezas debido a nuevas superhiberbas resistentes al herbicida Roundup (13). Pero el panorama no es del todo negativo. En años recientes la conciencia crítica sobre qué comemos y cómo se producen nuestros alimentos ha crecido a pasos agigantados en Puerto Rico y en el resto del mundo. El sistema industrializado de producción agrícola ya no es vaca sagrada ni volverá a serlo jamás. Sí existen alternativas. Sí existen otras maneras de hacer las cosas. Alrededor del mundo, activistas, agricultores, científicos, profesores, campesinos, pueblos indígenas, pescadores artesanales, pastores, cooperativistas, curadoras de semillas, amas de casa, consumidores conscientes, y gente común y corriente de todas las profesiones y caminos de la vida demuestran con su activismo, investigación rigurosa y trabajo consecuente que otra agricultura es posible. Sus múltiples propuestas se aglutinan alrededor de la joven ciencia de la agroecología, la cual ofrece innovadoras respuestas ante las crisis globales alimentaria, económica, energética y ambiental. ¿Quién está retrasando la publicación de los relevamientos sobre los bebés nacidos en los campos argentinos con malformaciones congénitas? Vemos aquí una suerte de salto geopolítico del imperio centrado en EE.UU. que hasta principios del siglo XXI, había estado implantando su política mediante persuasión, colusión, coincidencia, identificación, como es el caso de los dos primeros estados donde se difundieron masivamente los alimentos GM (EE.UU. y Argentina). Desde 2004 “amplían” tal difusión también mediante decretos militares (algo que también se ha practicado, aunque en un modelo más mezclado, en Paraguay). El excelente Peter Rosset (de Food First), también citado por Ruiz Marrero, aclara: “Con la guerra contra Irak y con las nuevas bases militares en países del Sur, EE.UU. busca la ventaja frente a sus competidores en la nueva guerra de colonización del Tercer Mundo.” (ibídem).